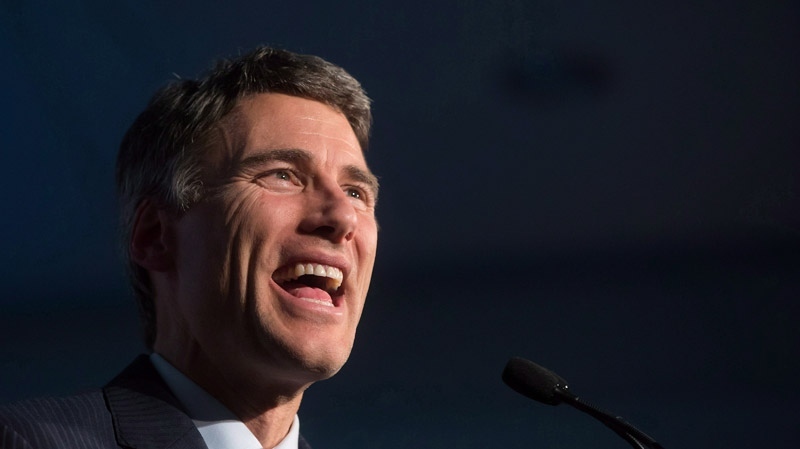 Vancouver Mayor Gregor Robertson announced in a Facebook post Wednesday he won't seek re-election in October. "I really dug deep personally and made a decision over the holidays that I will not seek re-election," he told reporters Wednesday. "Ten years is a long time in politics and an important part of leadership is to know when it's time to make space for new leaders and new voices, so I'm looking forward to seeing that happen." Robertson, who initially indicated who would seek a fourth term, said he came to the "bittersweet" decision after spending time with family and friends. He said there was no pressure from City Council. "I'm humbled and I'm honoured," he said. "It's an intense personal moment for me to go through this, but I know we've got lots of work ahead and I'll never stop loving our city and doing everything I can to make it better." In the lengthy Facebook post, he touted some of the city's accomplishments during his decade-long tenure, citing improvements to the transit system, harm reduction initiatives, efforts to create affordable housing and environmental awareness. "I'm very proud of our record here at City Hall," he said, thanking other members of Vision Vancouver. "I think we've had enormous challenges as a city, but incredible successes over our years and Vancouver has really risen in terms of a world city. We are in a whole new place, getting constant accolades for our liveability, being green and innovative and prosperous." Robertson is also known for introducing an empty homes tax in a bid to cool Vancouver's red-hot housing market and for leading the city as it hosted the 2010 Winter Olympics. But his time as mayor has not been free from controversy and criticism. Many have called on the government to take greater action against the city's deepening opioid crisis, which has claimed thousands of lives over the years. Housing affordability also remains a top issue. Robertson has also faced backlash for his government's handling of short-term rental sites such as Airbnb and divided Vancouverites with his pricey campaign against Kinder Morgan's Trans Mountain pipeline expansion—a project that has been approved by the federal government. Most recently, Vision Vancouver's initiative to build temporary modular housing units for those living on the street has become a contentious issue. Many residents in affected areas are arguing the move will threaten safety in their communities and lead to an increase in crime. In January of last year, a poll released by Mainstreet Research showed Robertson's approval rating was at 50 per cent, the lowest of Canada's big city mayors. The North Vancouver native was first elected mayor in December 2008 and again in 2011 and 2014. Before that, he was an MLA for Vancouver-Fairview as part of the New Democrats. B.C. Premier John Horgan, who worked alongside him during that time, issued a statement in response to the announcement, calling Robertson "a passionate advocate for the people. "I have known Gregor Robertson for many years. He was a trusted colleague when we worked together as MLAs in Victoria, and he is a valued partner as we work with local governments to make life better for people," the premier wrote. "He can be proud of the work he and council have done to make Vancouver the greenest city in the world." Prime Minister Justin Trudeau also reacted to the announcement on social media. "Thanks, (Gregor Robertson), for your friendship, partnership and years of service and work for the people in Vancouver," Trudeau tweeted. Even some of Robertson's harshest critic thanked him for his contribution to municipal politics Wednesday. 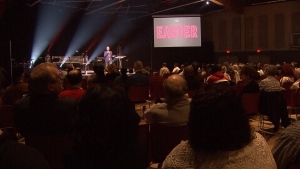 "He's been the brunt of many of my attacks," said Coun. George Affleck of the Non-Partisan Association. "Ten years is a big commitment and we should thank him for that." While Robertson's announcement does not affect his own decision not to run, Affleck said it does mean big changes are on the horizon for the city. "There's going to be a new mayor and a lot of new councillors and I think that will change the direction of the city," he said. "I'm confident that the NPA will win council and will win the mayor's chair. I think people are not only tired of Gregor, they're tired of Vision Vancouver and the obvious choice to me…is the NPA." Prior to his political career, Robertson co-founded the Happy Planet Juice Company in 1994. Come October, the his 10 years in office will have been the longest consecutive mayoral run in the city's history. Until then, he said he's "fired up" to push forward some major projects. "We haven't solved everything," he said. "We still have big challenges and over this next year, I really want to focus intensely on the affordable housing crunch that we're in…and big transit improvements that we desperately need to see across Metro Vancouver." On Wednesday, he told reporters he doesn't have set plans for what he'll do once his third term is complete. Vancouver's next municipal election is set for Oct. 20.